In the search box below just begin typing the name, area or project you’d like to support and follow the simple instructions. US supporters can choose the corresponding US Donations account to receive an IRS receipt. Young Life is a member of the Canadian Council of Christian Charities (C.C.C.C. ), an organization committed to upholding a God-honouring code of ethics as a governing standard for the activities of Christian charitable organizations and churches. 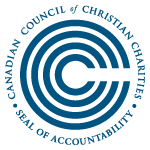 As members, we have earned the right to display the Canadian Council of Christian Charities' Seal of Accountability, denoting appropriate standards of financial stewardship, public disclosure and organizational integrity. Spending of funds is confined to Young Life Board approved programs and purchases. Each gift designated toward an approved program will be used as designated with the understanding that when any given need has been met, the remaining designated gifts may be used where needed most. Gifts are acknowledged and receipted with an official receipt for income tax purposes following year end. A copy of Young Life of Canada's annual Audited Financial Statements is available upon request.